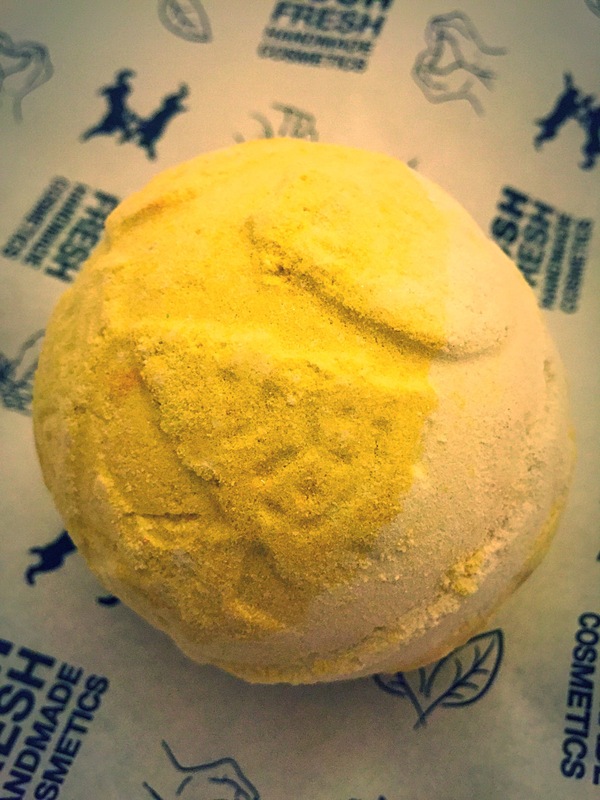 There was a lot of speculation to what this bath bomb was going to be like when it was first mentioned that there would be a bath bomb bath melt hybrid out this Christmas. Due to all this talk it made me very intrigued as to what it would be like and I was very excited about trying it out. So as this week sees me heading back to uni, I thought I would use my yog nog bath bomb to help relax me before my first week back. Yog nog has always come across as a very indulgent and luxury bath bomb which I think is mainly due to the fact that it is not only a bath bomb it is also a bath melt. So it felt like the perfect bath treat. 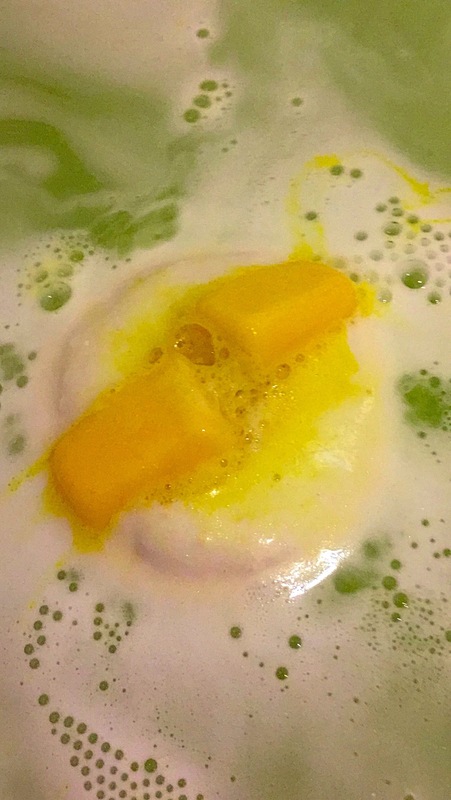 The yog nog bath bomb is a fairly large bath bomb with a lovely golden yellow and white colour. It also have the most beautiful design of Christmas trees stars and ornate Christmas decorations. This gives the bath bomb a very luxury look as it is very decorative. When it comes to scent I was complete won over by its warm sweet comforting smell. I has a very strong toffee smell which reminded me of cinder toffee (such a yummy scent). This bath bomb includes spicy clove bud oil in its ingredients which as a depth of warmth to the scent and helps to stimulate the senses. 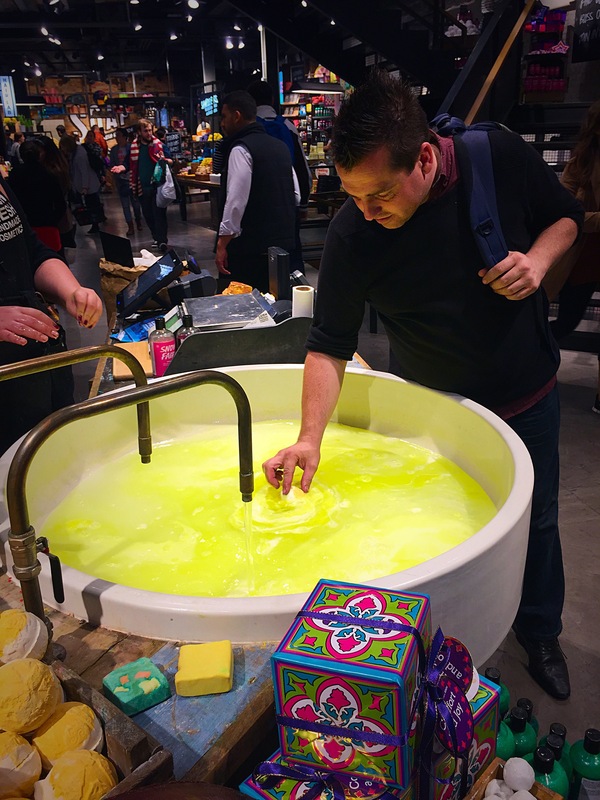 I first witnessed the yog nog bath bomb in action when I visited the Oxford street store. One of the lovely staff let my partner pick a product to put in the water for a demonstration and he chose the yog nog. This filled the store with a Gorgeous warming toffe scent and created my most lovely golden water. When you pop the yog nog into the water it is a very very slow fizzer, Infact it had only just disloved completely by the time I had got out of the bath. Compared with other bath bombs i have tried before, I would say that this took the longest to dissolve. But I suppose that this is down to the fact it also contains a bath melt element. 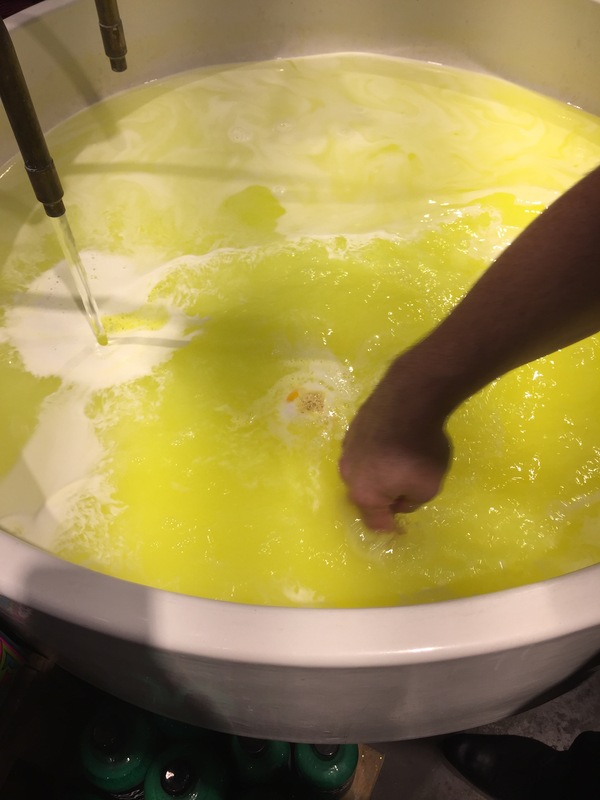 To start off with the yog nog creates waves of white and gold foam that covers the surface off the bath whilst filling the room with the most delicious smell and then once the first layer has dissolved you can see the huge chunks of Shea butter Which are basically bath melts within the bath bomb itself. These then bob along the surface of the bath until they have all dissolved and the bath is cover is a layer of golden and white. The bath melts are lovely and compared to the new bath oils they don’t leave an oily layer on the top of the water. 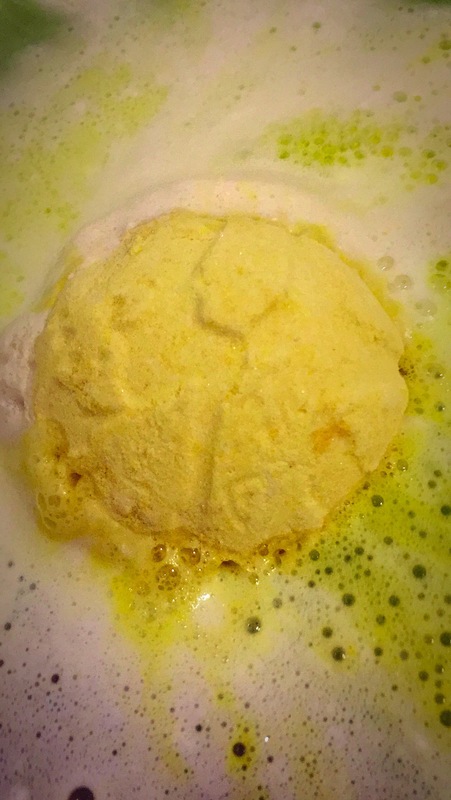 Shea butter is used for its moisturising qualities but did not leave my skin feeling oily. Soya milk powder is also used in yog nog which makes a creamy and very comforting element to the product. Personally i found the bath bomb too large to use in one go mainly because I firstly got a bit impatient waiting for it to melt (I can’t sit still for long) and I also found the butters a little to much for my skin as I do have sensitive skin. But all I need to do next time is chop this in half and just use it in a smaller quality. But this is just a personal preference and I think for most people this bath bomb will just be perfect. Overall this is possibly one of the most indulgent and luxury bath product lush has made and it is extremely moisturising. My skin was left feeling soft and smelling great. Oh my goodness I purchased this today and your post has made me so excited to try it! It looks so indulgent and luxurious! Thank you so much for this sweetie – I think I will be purchasing more, as well as the soap again ! Love Yog Nog so so much! Don’t forget to have a look at my blog – I have just put up a lush haul! I hope you enjoy your yog nog 😀 it really is so lovely! This looks so lovely! I really want to try one out now!